Thinker Ventures hosts Rockford’s 1 Million Cups networking chapter. Every Wednesday, we open our doors at 9 a.m. for free coffee, lots of conversation and connections, and to hear a presentation from a small business, entrepreneur, nonprofit or organization that helps businesses grow. 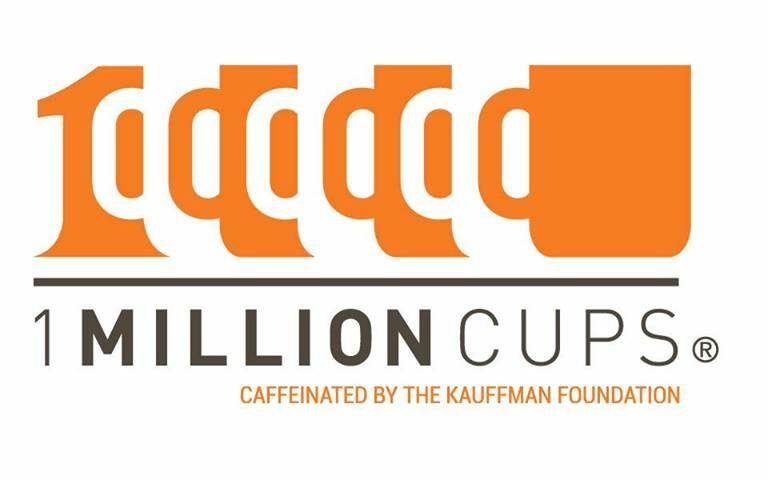 1 Million Cups was started by the Kauffman Foundation in Kansas City, Missouri, and has grown to more than 170 chapters in the United States. Scot Dobbs of Wipfli brought 1MC to Rockford in 2016, and it moved to Thinker in September 2017. To add value, we videotape every presentation. A snippet of the presentation goes on Facebook and our YouTube channel, and the complete talk is given to the presenter to use for their own marketing purposes. We are always looking for interesting companies to come in and talk. For many, 1 Million Cups is the first time they’ve been in front of a crowd trying to articulate where they want to go. The crowd is just as valuable. Some presenters come just for more exposure. Many others come to make connections or for ideas on how to move their businesses to another level. Even in the digital marketing age, face-to-face networking has a tremendous ROI. If you’d like to be a presenter, contact Alex Gary at alex@thinkerventures.com or 815-516-0500. If you are just looking to meet others on the entrepreneurial path or to make connections, stop in on a Wednesday for free coffee. Thinker tries to make 1 Million Cups the hub of the Rockford area’s networking wheel. There are a number of excellent free groups where you can make even more connections. The Wabongo Leadership Council tries to hold Wabongo Wednesdays on the first Wednesday of each month. Wabongo is trying to improve the lives of African-Americans by improving educational access. Wabongo Wednesdays move each month but run from 5:30 to 8:30 p.m. and feature real talk. Go to https://www.facebook.com/wabongoleadership/ to learn more about the group. The Rockford Social Square meets at 5 p.m. the first Thursday of each month at Josef’s in Rockford. Everyone gets a chance to introduce themselves and their business and pass cards. It’s a fun, relaxed atmosphere. They use Meetup.com to organize. Go to https://www.meetup.com/The-Rockford-Social-Square/ to learn more. The Salsa Business Network meets at 11:30 a.m. at a rotating restaurant the first Friday of each month. This group was started more than 10 years ago by local Hispanic business professionals and remains one of the best ways to get plugged into the Hispanic community. Each attendee gets 30 seconds to introduce themselves or they shake maracas. The cost is $12 and RSVPs are required. Go to https://salsabusinessnetwork.weebly.com/ to learn more. Northern Illinois’ EIGERlab Innovation Network hosts educational talks at 5:30 p.m. the second Tuesday of every month at NIU-Rockford, 8500 E. State St. The cost is $1, which pays for pizza, pasta salad, refreshments, knowledge and networking. Learn more at https://www.meetup.com/NIU-EIGERlab-Innovation-Tuesday-Meetup/. The Rockford LinkedIn Lunch is the second Friday of every month from 11:30 a.m. to 1 p.m. at Stockholm Inn in Rockford. This group features different speakers, and everyone introduces themselves and their businesses. The meeting is free, you just have to pay for lunch. Click here to learn about the schedule. The Entrepreneur Club is a newer group and is trying to be more of an educational group. It has several events planned. Go to https://www.facebook.com/daentrepreneurclub/ to learn more. The Trusted Compass usually meets on the third Thursday of each month, beginning at noon, at Giovanni’s in Rockford. This group is run by the Christian Business Network. Everyone gets a chance to introduce themselves and their business. Go to https://www.facebook.com/The-Trusted-Compass-Rockfords-Christian-Business-Network-451665331609903/ to learn more. The INCrowd Networking Group meets the fourth Thursday of each month at a rotating business. This is a very social group — drinks will be consumed — and it enjoys one of the better turnouts each month. Go to https://www.facebook.com/groups/149116061804131/ to learn more and see where the next one is scheduled. Winnebago Buy Local is a membership group that hosts a series of cool events throughout the year. Go to https://www.facebook.com/winnebagobuylocal/ to keep up with what’s on its calendar. Irontek in Beloit, Wis., holds free informative events for small-business owners and entrepreneurs. Irontek is a business incubator. Go to https://www.facebook.com/pg/irontekbeloit/events/ to see what’s next on its schedule. Northern Illinois Collaborative Events is a networking group that meets mostly in the Rockton-Roscoe area. It’s a membership group, but nonmembers can come to its events. Go to https://www.facebook.com/pg/Northern-Illinois-Collaborative-Events-1951587675058471/events/ to see what’s coming up.